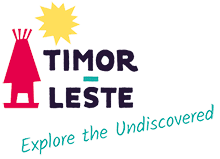 In 2002, Timor-Leste (East Timor) became an independent nation after more than four centuries of Portuguese colonial rule and two decades of Indonesian annexation. Since then the Government of Timor-Leste has been focused on retaining political unity and boosting economic growth. This is not an easy undertaking after the widespread violence, population displacement and property destruction the country experienced following the 1999 referendum. Most of its infrastructure was destroyed at that time including electrical, water and sewerage systems, roads, schools and medical facilities as well as public and private sector properties. Despite the steady progress made to date, more than 40% of the population is estimated to still live below the poverty line and there is high unemployment. In addition to growth in Timor-Leste’s public sector, an increasing number of small businesses, primarily in construction and in the wholesale and retail sale of goods, are being set up. Most of these private sector business enterprises are concentrated in Dili, which consequently has changed significantly since independence with ongoing construction of buildings and upgrading of infrastructure. As in most capital cities, Dili offers a wide range of shopping, accommodation, restaurants and other services. In contrast, the towns and traditional villages in the surrounding districts have changed to a less noticeable extent, with the exception of road upgrading and electricity development. The people who live in rural areas continue to be primarily engaged in small scale fishing, forestry and farming. Currently Timor-Leste’s economy is mostly dependent on the extraction of oil reserves from the Timor Sea which account for a massive 80% of GDP. These funds have enabled significant investment in core services and infrastructure, especially related to roads and electricity. Apart from the oil and gas revenue, coffee exports and net tourism receipts account for Timor-Leste’s other main sources of foreign exchange. These, however, represent a small percentage of the country’s import and service payments. Together with several other sectors, the Government regards growth in tourism as critical to future economic development – a goal to be achieved by taking advantage of the country’s natural beauty, culture and heritage and by focusing on boutique, adventure and ecotourism experiences. Improving production from agriculture and fishing is also seen as very important, especially from a food security perspective and as a way of reducing imports.